Two great tastes that go great together. 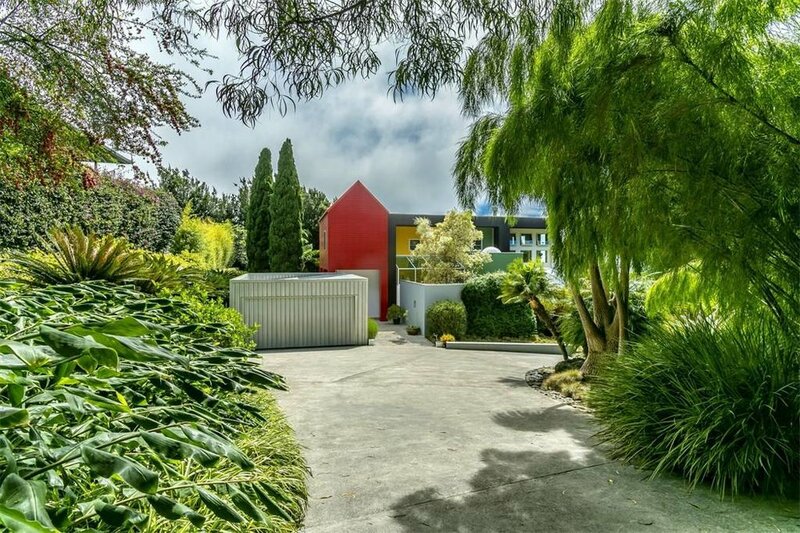 One of Sottsass’s seven architectural commissions is for sale in Maui. The whole listing is here. I love Hawaii and I love Sottsass. Oh to be able to make this happen! In case this tropical abode is too homey there is this Nathalie Du Pasquier at Wright with original fabric and from Karl Lagerfeld’s home in Monaco! Ryuichi Sakamoto’s house in Honolulu is on the market! Ryuichi is loved by many for many reasons. I love his time in the Yellow Magic Orchestra. YMO made awesome and challenging music in the late 70s and 80s. The place is built by Sid Snyder of Ossipoff Snyder Architects Inc. When I learned about Ossipoff’s work at the Honolulu Academy they said his office often refused clients who insisted on air conditioning and things they thought didn’t make sense in the paradise of Honolulu. I also heard they’d work hard to make inexpensive houses out simple materials. Most of these houses are now gone, sadly. I just can’t stop looking at pics of this one by Mariko Reed. If only Ryuichi would accept a lot of Moiré in trade. Thank you Becky for telling me about this. We are just thrilled to be included in The Museum of Craft and Design's show Raw Design. Glenn Adamson digs into culture’s reaction to a flat screen world. He sees that people are making objects that are so concerned with process they try to freeze the moment of making. Mix Tape is included and in some serious company. I'm at auction therefor I am: Fantastic Voyage! I'm so thrilled to have found one of my very first industrial fabrics up for auction at Rago. And to be on these Saarinen chairs. While working at a truly fantastic German mill I made a fabric based on Fantastic Voyage. Then it sold to Knoll! It is hard to see, but inside of the ovals there is a thick cotton deflecting thread. Turns out he's the guy behind Phoneblocks too! Thank you Jesse for the tip. Wright auction house has a set of 10 chairs by my dear friend Kevin. These beauties were designed in 1988 and were in the offices of Island Records. There is a 100% chance these chairs had contact with Grace Jones. In the words of Glenn "Wish I had a board room. Or a record label." The same auction has a commission cautionary tale. Modern Magazine- a thoughtful deep digging magazine has published an article by Glenn Adamson that I really love. We are ready to take on your straw and turn it into gold. Oh and, I really like kids, but don't worry, I don't want your first born. The whole thing is in our press section. Gucci's new film is blowing my mind. David Reid pointed out the soundtrack is Space:1999's theme. Sometimes we just need a little power in our desk- but it's hard to choose. Do we want Carlo Bugatti's exotic world or Aleksei Mikhailovich Isaev's journey into Russian space? I can tell you what should be on the chair for Isaev! Nasa is developing 3-D printed fabrics that combine not only the functionality of the materials they are made of, but also their structural function. Fabrics could be made in space to fit jobs managing heat absorption or deflection, tensile strength, meteorite deflection. They could be made of new material or even recycle material that is at hand. Thank you BoingBoing where I get about 35% of my information.